Voice-enabled assistants like Amazon’s Alexa are increasingly popular. However, there are also drawbacks that could cause a stumble for businesses seeking to leverage the technology that’s becoming increasingly commonplace in homes, cars and offices. For marketers looking to exhibit business leadership in the space, the challenge is to position smart speakers and voice assistants as essential parts of day-to-day life. Here’s’ a closer look at voice-assisted devices and marketing: what the future holds. According to a September 2018 analysis by Adobe widely reported in technology news, smart speaker ownership is growing. Market penetration has grown from 28 percent of consumers owning a smart speaker in January 2018 to 32 percent in August 2018. Adobe projects that ownership rate will hit 48 percent in early 2019. While voice assistants at first were marketed around tasks such as playing music and checking the weather, the scope of usage is evolving as technologies … and users … get more sophisticated. Other types of queries are growing in frequency, according to Adobe, with owners reporting using the devices to conduct online searches (47 percent), check the news (46 percent), do research (35 percent) and ask for directions (34 percent). In addition to those basic functions, users are relying on these devices for more complex tasks, such as commanding smart homes (31 percent), shopping and ordering (30 percent), and sending and receiving messages (24 percent). Voice-enabled shopping is projected to reach $22 billion by 2022. Marketers have noticed that many voice assistant queries are related to mood and activities. It’s causing marketers to think about how to better track such lifestyle characteristics on items such as music selections. The value to brands is in being able to respond to user demands to “set the mood” or help them better with activities from exercise to cooking. There is also the value of using voice assistants for more utility. American Express, for example, lets customers pay bills via Alexa. Consumer habits for shopping are changing too, as consumers use voice activation to find items, compare prices and make purchases. 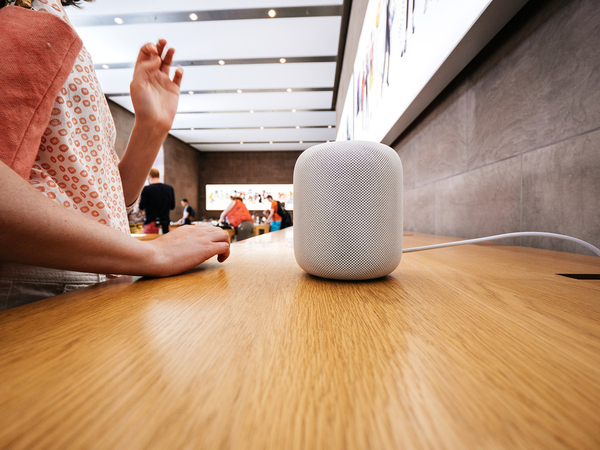 One projection indicated recently that voice-activated shopping will reach $40 billion in sales by 2022. Shoppers are also using voice to create shopping lists and gain insights while they’re at a physical store. Retail marketers also see an opportunity to personalize voice-related experiences as customers stay logged in and share information that can help to customize voice responses. The advances are considerable. Yet marketers still need to consider certain concerns with the voice technology. First and foremost, voice assistants don’t always get the answers right, which can lead to frustration and user attrition. Marketers need to use caution that voice is not seen as just another digital channel. Part of the appeal right now is the technology’s ability to add utility to the user. There is also no visual branding available with shopping by voice. Will that lack of visual identity hurt brands, especially newer ones that don’t have as much visual recognition? There’s also the issue of not having a screen to interact with. If a voice query goes off on a wild tangent, what’s a user to do? There’s the ever-present issue of privacy. Users may be reluctant to adopt the technology if they think Amazon or Google is spying on them, recording conversations, or using data intrusively. The potential is significant and with shrewd, careful planning, marketers will continue to leverage voice-activated tools in innovative ways.